Jon Ossoff, the Democratic candidate for Georgia's sixth congressional district, has declined to participate in a CNN-hosted debate with his Republican opponent. The debate would have come just a week before their run-off election. The Atlanta Press Club, which expected to jointly host the debate with CNN, announced that Ossoff would not be attending, the Washington Examiner reports. The debate was to be held June 13; the election itself is June 20. "We regret Jon Ossoff has declined to be a part of this debate, which would have helped inform the voters of Georgia's 6th Congressional District and engaged viewers around the country," the Press Club said in an official statement. Republican Karen Handel, former Secretary of State of Georgia and Ossoff's opponent, agreed to participate in the debate on May 31. They are running to fill a seat vacated by Tom Price, who is now Secretary of Health and Human Services. Ossoff's race has become the subject of much national attention and is looked at as a bellwether for Democratic hopes to retake the House in 2018. 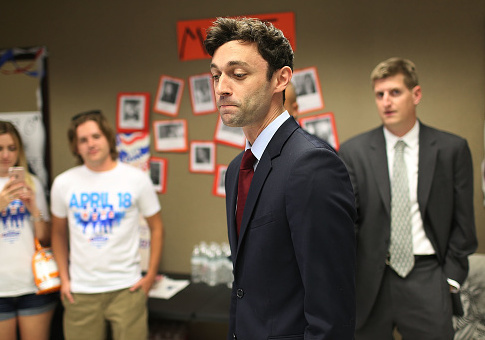 While other Democratic special election contenders have fallen short, Ossoff's race is a toss-up. At least one poll shows him leading by seven points over Handel with several weeks until the election. The race between Ossoff and Handel is the most expensive House race in U.S. history, with more than $30 million dollars spent on it through the beginning of May. This entry was posted in Politics and tagged CNN, Debate, Jon Ossoff. Bookmark the permalink.